There may have been a time when the US and Russia were serious geopolitical rivals. That time has long since passed. Now, the two “nations” (elite controlled entities masquerading as a res publica) play the neat, little old game known as Bad Cop/Good Cop. Elite interests, practices, and life styles of both countries have long since converged. Russian elites have their hands on Western assets and vice versa. American and Russian elites have long since lost their national adjectives; today they are a set of global elites with common concerns and methods. The condominium that Reagan and Gorbachev reached in the 1980’s has emerged as a global racket. Instead of the great game that British and Russian imperialists played with one another in the nineteenth century, what we have today is another game with a distinctively American flavor: Bad Cop/Good Cop. 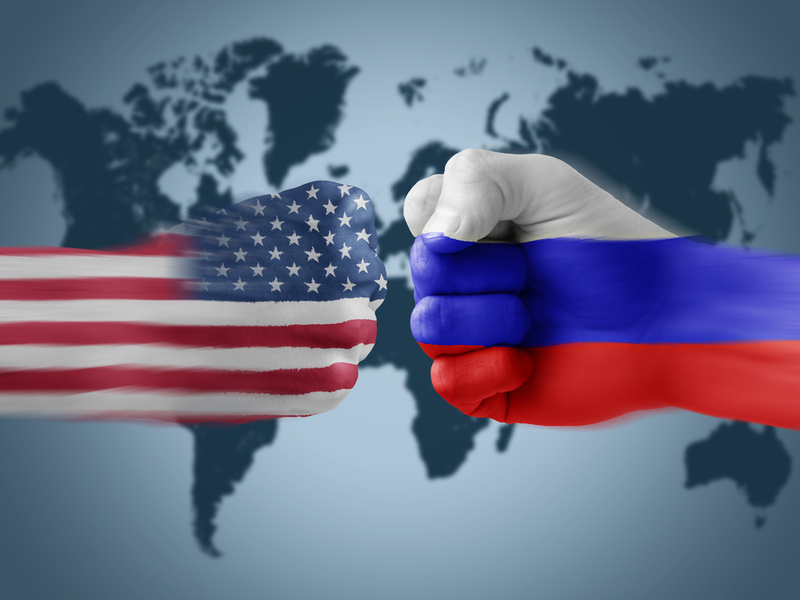 In effect, the United States and Russian elites have agreed that the appearance of non-agreement and eternal potential conflict would serve both sides equally well. On the Western side, Western populations could be disciplined and controlled better with the convenient threat of a bogey man from the East (whether that threat is alternatively China or Russia). On demand, Putin can be called on the political scene (theater) to pretend to threaten the status quo when really the status quo is only being strengthened by his maneuvers and machinations. Thus, for example, the events in the Ukraine have very little to do with traditional power politics than with murky global criminal interests which extend from Kiev, to New York, to Tel Aviv and beyond. On the Russian side, the story is much the same. Simulated conflict with the West, keeps the Russian population from discerning the extent of their global manipulation. The myth of Russian nationalism and historical exceptionalism hypnotizes the multitude in much the same way as those myths function in America. A play of political shadows captures the imagination and limits the mind’s focus and the ability to even ask the right questions. More than ever, it is capital that rearranges the now hallowed out chess pieces on the ever increasingly fictional political matrix. National considerations are secondary. Ironically, at a time of seeming resurgent nationalism, that resurgence only serves to better mask the moves and motives of capital. The “nationalists” just as much as the “globalists” ultimately follow a hot trail of money rather than “national glory” or “free-market liberalism”. Thus, if the political arena is indeed just a carefully orchestrated global show masking global economic interests then it would be safe to assume that in the foreseeable future “crises” (hollow spectacle) will be produced to captivate the populations without any real threat or consequence therefrom. Yet, if war or conflict ever does come, it will be the result of an imbalance in the elite global structure where one party has decided to attempt to grab “more than its share” causing the other members to retaliate to realign old surreptitious economic balances and designs. However, for now, Bad Cop/Good Cop is the Punch and Judy show de jour. Bio: PhD Continental Philosophy. Regular contributor to Counterpunch. Teaches at Ravensburg-Weingarten and Neu Ulm University of Applied Sciences.